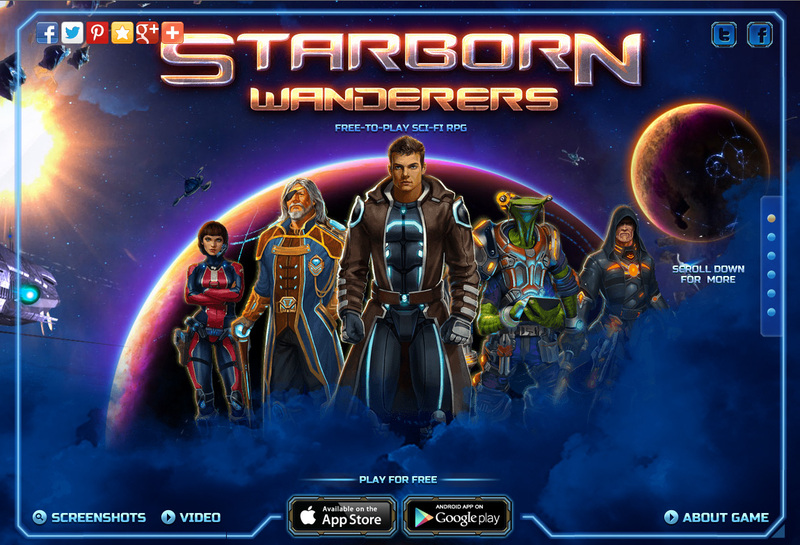 ‘Starborn Wanderers’ is a free-to-play sci-fi RPG. Their colorful One Pager is absolutely packed with incredible old-school illustrations and a great reference of parallax scrolling done right! Make sure you use the right nav to scroll as the parallax is smoother. In the distant future, humanity has found a shelter on the planet Terra Nova in a remote sector of the galaxy. But one fateful day, this shelter was destroyed by a mysterious alien spaceship - the survivors named it "Ravager." Though the planet was destroyed, some of the humans managed to escape, and they made the Phoenix Space Station their new home.